Professionals choose Ohio Basement Authority! 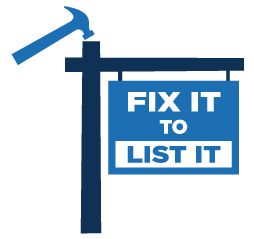 At Ohio Basement Authority, our Fix It to List It specialists know that real estate professionals have specific needs because of their industry. We understand the sensitive nature of a transaction when a concern is raised by a home inspector, buyer, or seller. We also know that you are working under strict deadlines that need to be met. Our goal is to respect the interest of all parties involved and help you successfully move toward closing. We work with the real estate community! Are you in need of high quality basement waterproofing, foundation repair, or crawl space services? Ohio Basement Authority is here to help. We proudly cover 66% of Ohio. Refer a Client and Earn a Gift! Free Estimates: Our Fix It to List It specialist will visit your listing and perform a full inspection and estimate free of charge for homeowners, and at a low cost of $99 for non-homeowners.